Hey, Forgotten Fans, your webmaster, Kevin Walsh, needs your assistance in order to better master the web! Forgotten NY’s current website is long overdue for an overhaul: updated platform and design, better search functionality, mobile capability... just a few of the current challenges. FNY is also coming up on its 20th Anniversary, so we’re asking for your help with a website worthy of its content and to better serve YOU users! 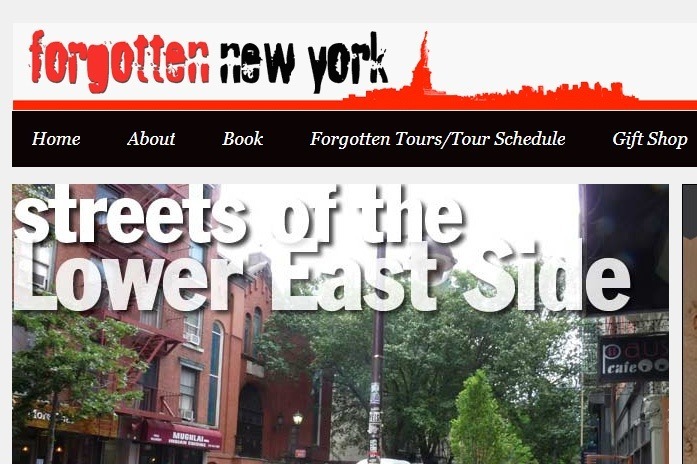 Because while Forgotten NY covers many long-lost aspects of our great city, its website should not be a thing of the past! Besides profiting from this brand new site, there are even more rewards for your (not)Forgotten support! $5,000 = There are no words to express our gratitude. If Kevin had a firstborn, you’d get it, but since Forgotten New York is his baby, how’s about a lifetime of free tours? We have just about completed the Forgotten NY revamp, but several $50+ donors have not been able to receive their gifts. We need mailing addresses/PO Boxes from Robert Biggert, Phillippe Chu, Stephen Langowski, Sanders Saltzman, Jon Scher, Matthew Wilkins and Brian Lawson. Please send these to kevinjudewalsh@gmail.com. Thanks! Thanks all for your generous contributions. Remember, if you donated $50 or more, you qualify for a bonus such as a membership in the Greater Astoria Historical Society or a Forgotten Queens book ($100+ donors). Please send your mailing address to: erpietri@earthlink.net so we can send along your reward!